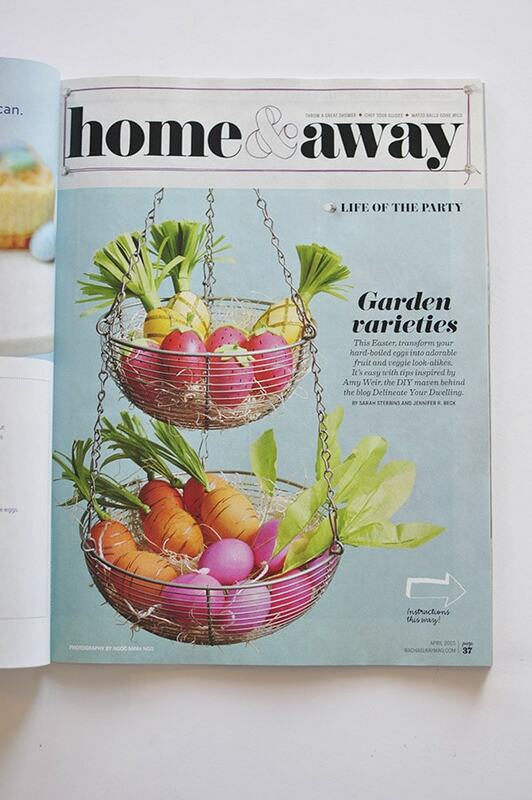 INSIDE : Find easy tips for creating the Perfect Spring Tablescape using Plants as your main decor item. 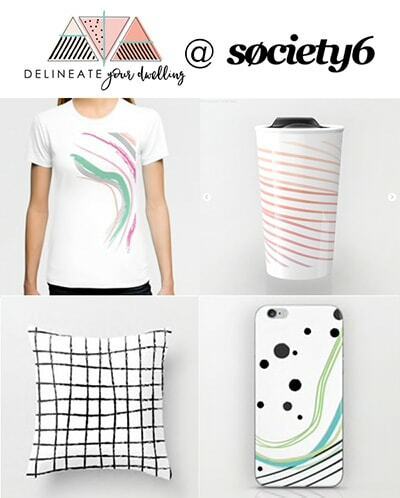 Enjoy bringing some living green into your space. 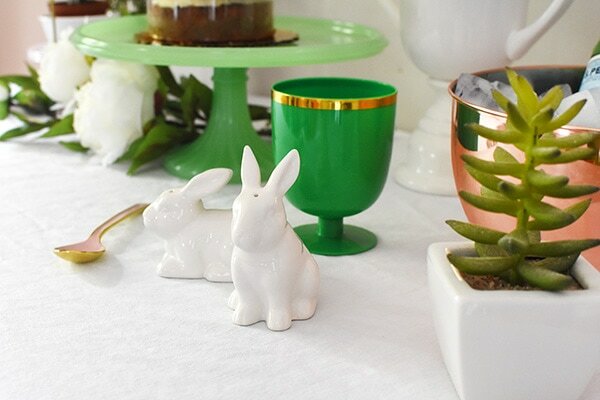 Spring is officially here and there are so many occasions for using fresh flowers and plants! 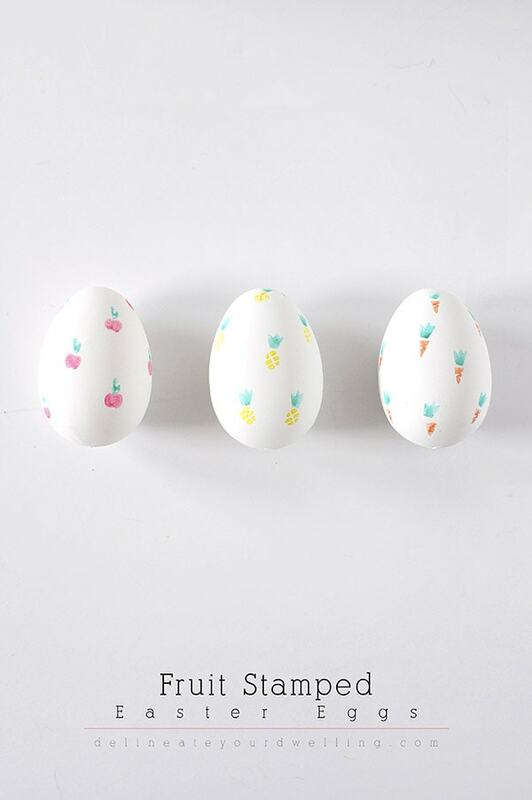 Easter, May Day, Mother’s Day and Spring birthdays are just a few. When hosting events, I love making the decor simple and sometimes just a few fun items paired with flowers is all you need. 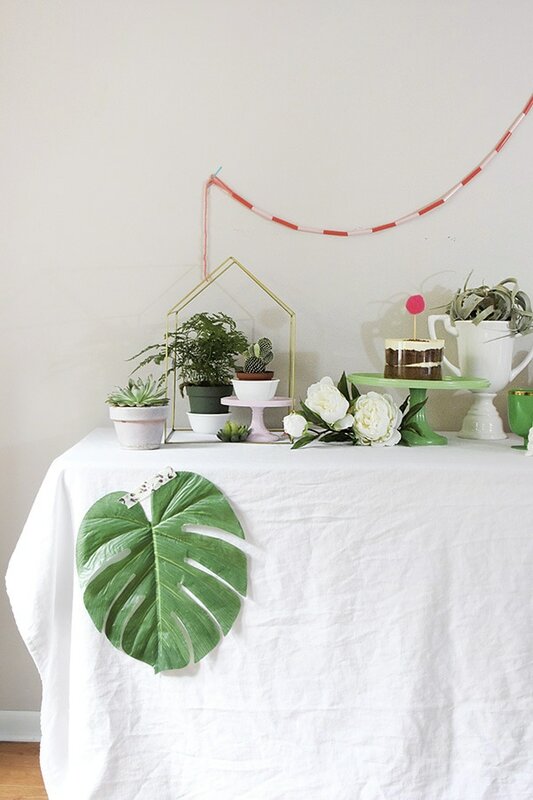 Today I am sharing tips for creating the Perfect Spring Tablescape using Plants. One can never too many plants in my opinion… although I am quite the plant lover, so I might be biased there! 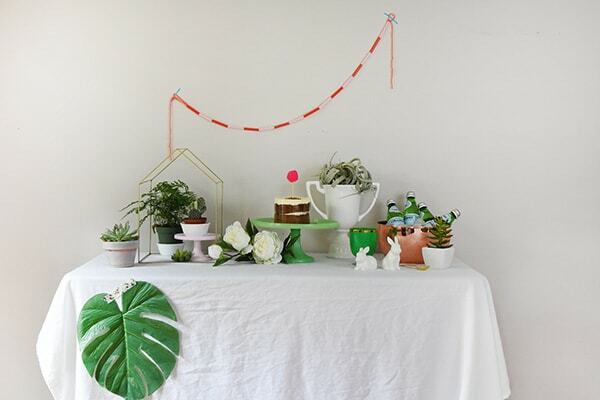 I love creating little vignette of different heights on a tablescape. 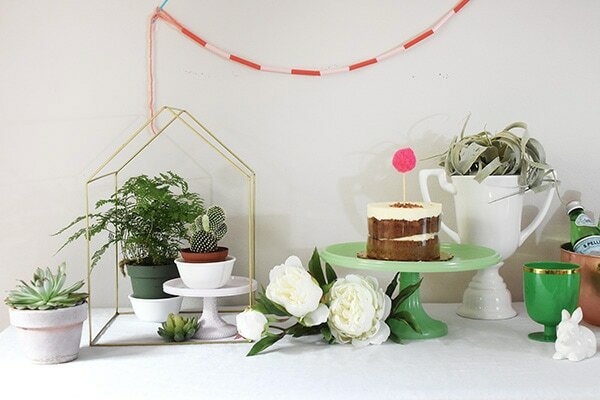 Cake plates are a great tool for adding varied height. 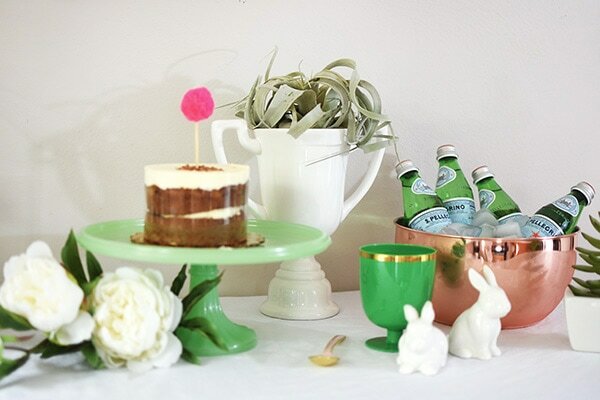 I especially love this adorable soft pink cake plate. It also had a glass dome with a bunny sitting atop, so precious. 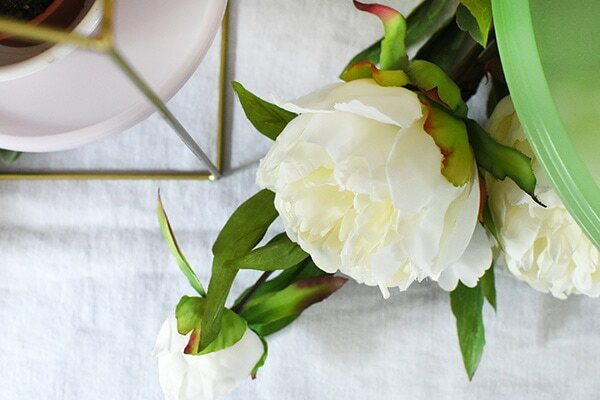 Tucking in peonies or other seasonal flowers here and there add a perfect romantic touch. 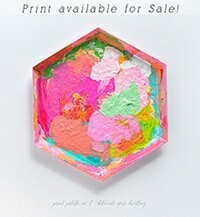 They also are great for filling negative space. 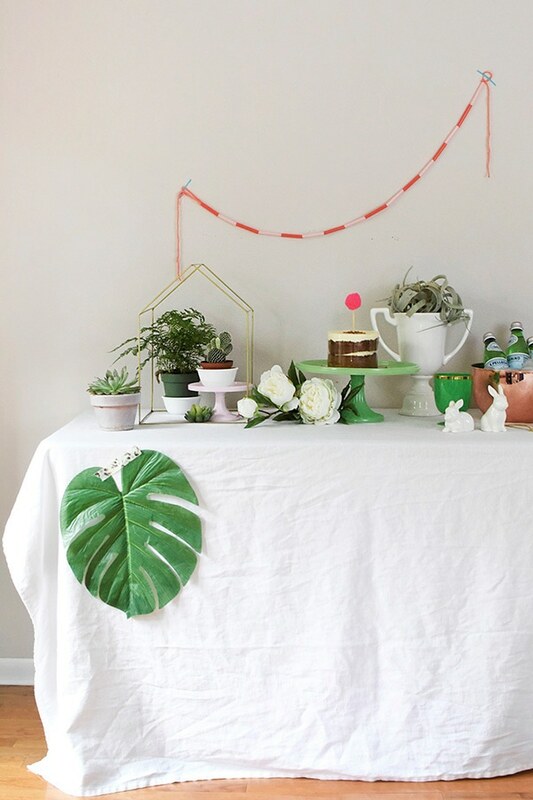 Hiding little details into your tablescape is also fun touch. 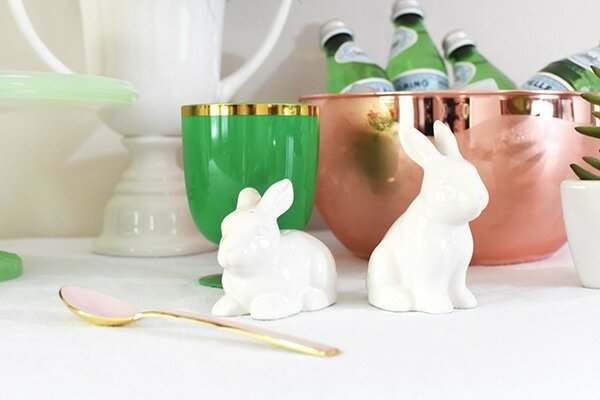 Bonus, these bunny salt + pepper set fit perfectly with the plant table theme, too! 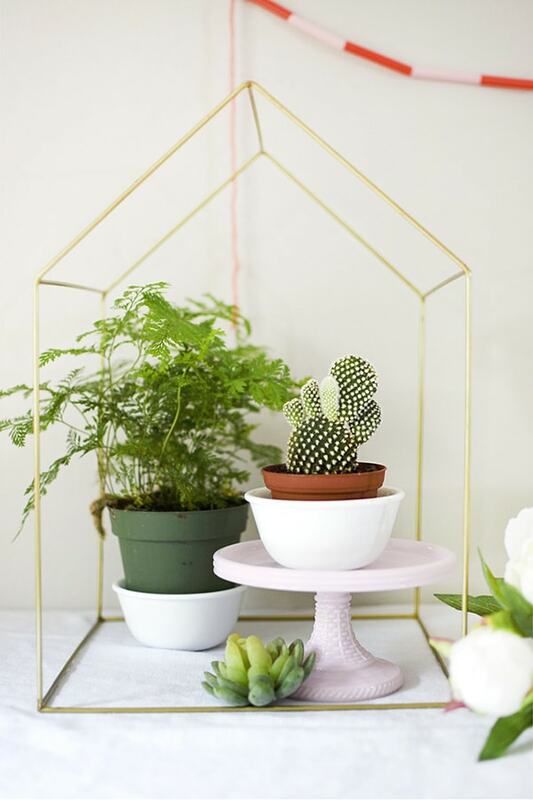 I love breaking rules in party decor… soft whimsical ferns paired with sculptural cacti – that’s the way to go! 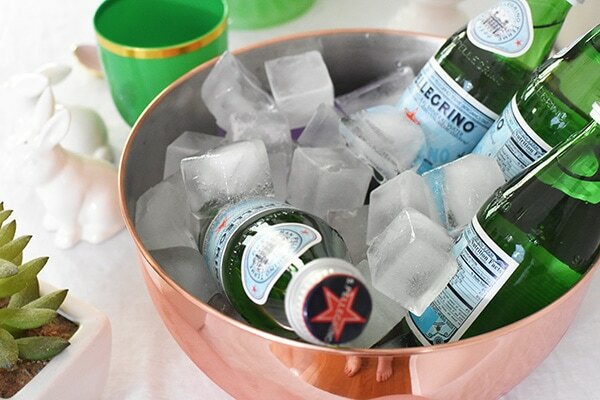 And what better way to serve your favorite drinks than a gorgeous heirloom copper bowl filled with ice! 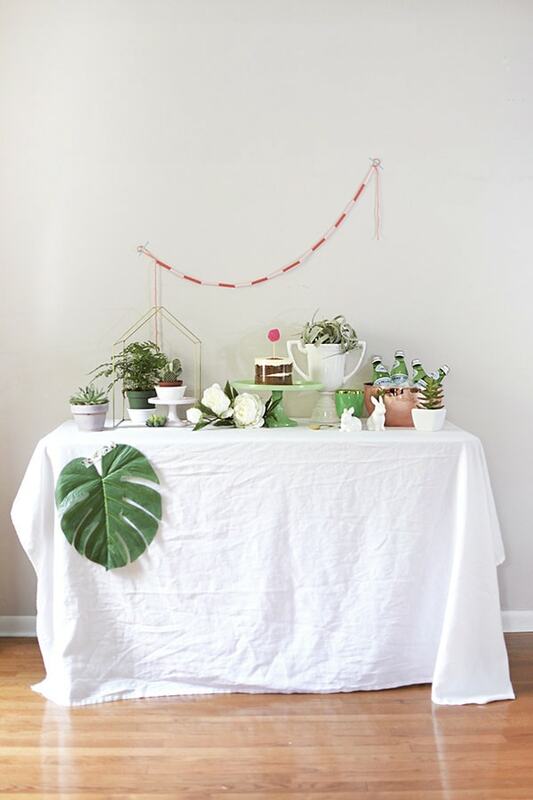 Adding height with garland, whether colorful or even a flower garland is another way to add drama to your table. Keeping the color palette fairly neutral so the plants can do the talking is the direction I took on this table. 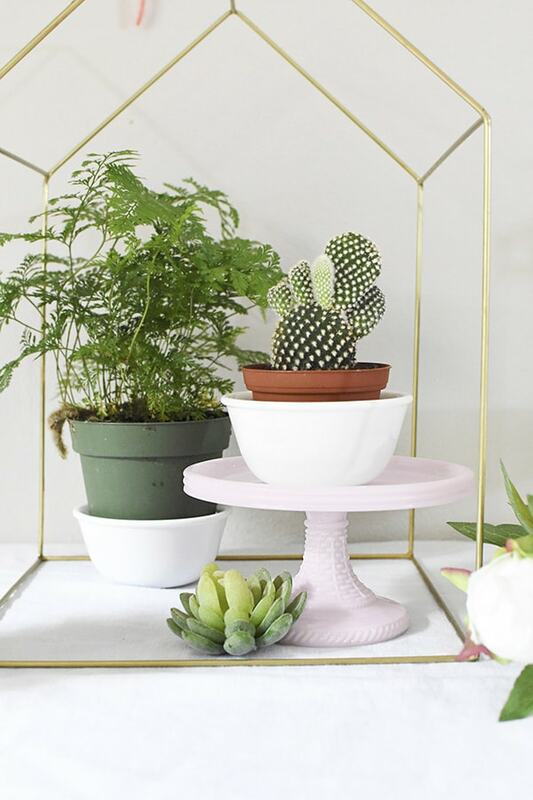 However, the soft pink cake plate, the jadeite cake plate and the copper bowl all were slight pops of color that fit in perfectly. And you can not forget delicious treats like carrot cake! 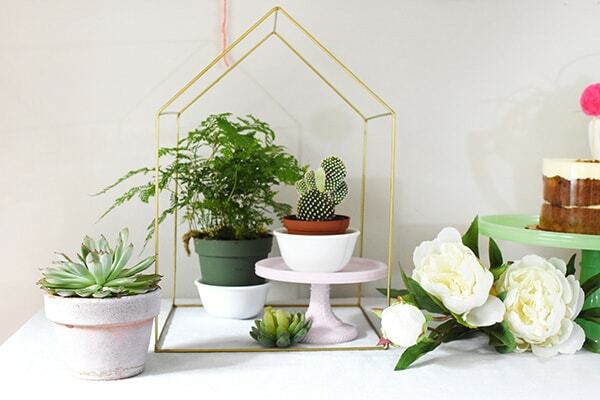 The next time you decide to host friends, be sure to shop your own home for plants to fill your beautiful table! 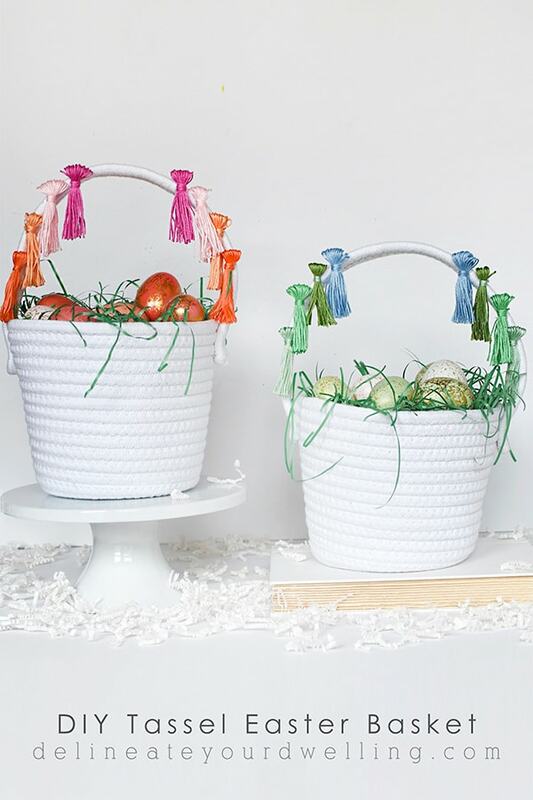 Thank you to Martha Stewart for providing products for this post. All opinions are 100% mine. Your table-scape is so attractive. 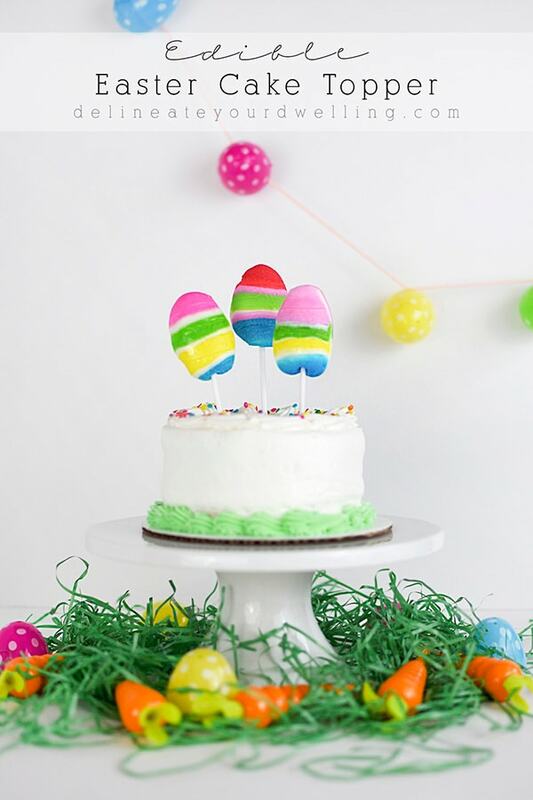 It’s a beautiful way to display your party food. I really like the simplicity and the natural elements. It’s very pretty without being overdone. Thank you so much, Carol! 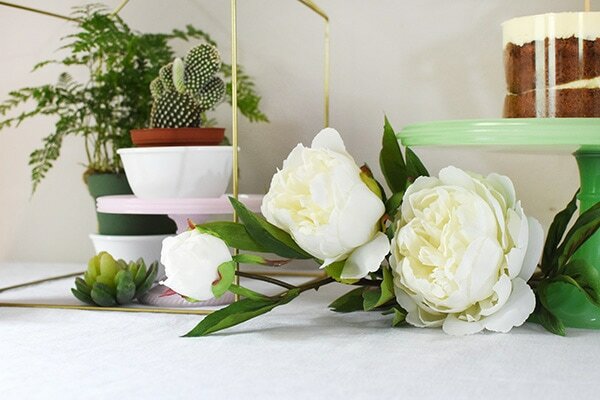 That’s the beauty of using plants for your table… pretty without overdone! Have a great day.